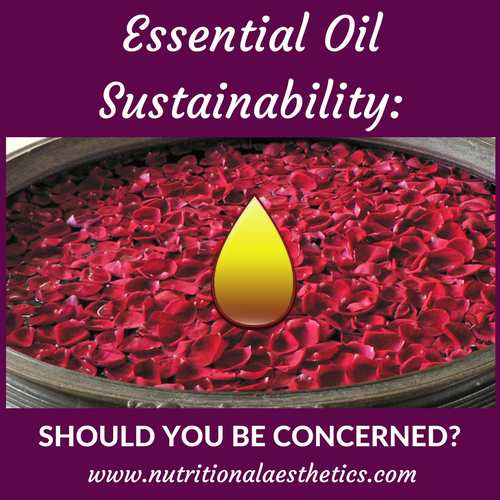 Essential Oils Sustainability: Should You Be Concerned? As the usage of essential oils becomes more widespread among both skincare and wellness professionals and the general public combined, two key concerns have arisen: safety and sustainability. We’ve addressed the safety issue both in past webinar with NAA Advisory Board Member, Adina Grigore, author of Just the Essentials, and also in our NAA File Card packs (both are available anytime to NAA members), by the way. The conversation of safety does tie into sustainability, however; because many of the safety issues are due to overuse because of increased essential sales by multi-level marketing companies such as Young Living and doTERRA. Essential oils are highly concentrated plant extracts, containing volatile compounds. There are rarely any reasons why they would be used undiluted because they are so strong. Proper dilution is necessary both for safety and sustainability. Currently, oils can be sold by anyone, regardless of educational background or training. Their sales and usages are unregulated, and with the typical Western “more is more” attitude to consumerism, it’s easy to see why overuse is a problem. While the purpose of today’s post is not to determine who should be selling essential oils, or how they should be sold, do consider that when a company’s main goal is to sell high quantities of essential oils, all of their marketing efforts are geared to meeting that goal. It takes large quantities of plant matter to produce essential oils. While the amount of plant matter required depends on the plant, the amount is significantly larger than what’s used to make traditional herbal infusions, glycerites, macerates, or tinctures. While one pound of fresh rose petals could make several pitchers of rose tea, or ounces of rose tincture, according to an article on doTERRA’s site, it takes a whopping 10,000 pounds of rose petals to make a single pound of rose essential oil. Lemon water lovers often lament at how many lemons you have to buy each week to enjoy your daily mug, but did you know that it takes 3000 lemons to produce 2 pounds of lemon essential oil? When taking the bounties of the Earth for beauty or health, it’s crucial to give back as much (if not more) than we take. Think about how long it takes for plants to be replanted and grown after being harvested. Think about how constant planting and harvesting affects the soil quality. This is problematic enough with plants where the flowers, leaves, stems, or roots are used to make medicine; but what about essential oils that are derived from resins, where trees must be cut or taken down in order to harvest the sap? One of the most commonly used essential oils for beauty and wellness in addition to spiritual practices is frankincense. However, frankincense is derived from tree sap, and because of unsustainable and unethical methods, many frankincense forests are now disappearing. According to United Plant Savers, Hawaiian frankincense, Santalum paniculatum–which is one of the species sold by doTERRA–is now at risk for extinction. On September 17, 2017, the Justice Department announced that Young Living pleaded guilty to illegal trafficking of rosewood oil and spikenard oil in violation of the Lacey Act and the Endangered Species Act. The company was prompted to conduct its own internal investigation of the charges, and in doing so, found intentional and substantial violations due to illegal harvesting and shipping of plants from multiple locations, over the course of several years. This announcement came just weeks after the company issued a press release that they are now working with SCS Global Services to enhance their Seed to Seal® program. Should you stop using essential oils? At the NAA, we believe that aromatherapy is a valid and effective integrative modality that benefits the skin and overall health, as long as it is used safely and responsibly, by people who understand how to use them. We also believe that they aren’t always necessary to get the desired results, and often, traditional herbal preparations are more appropriate–especially for use in facial skincare. 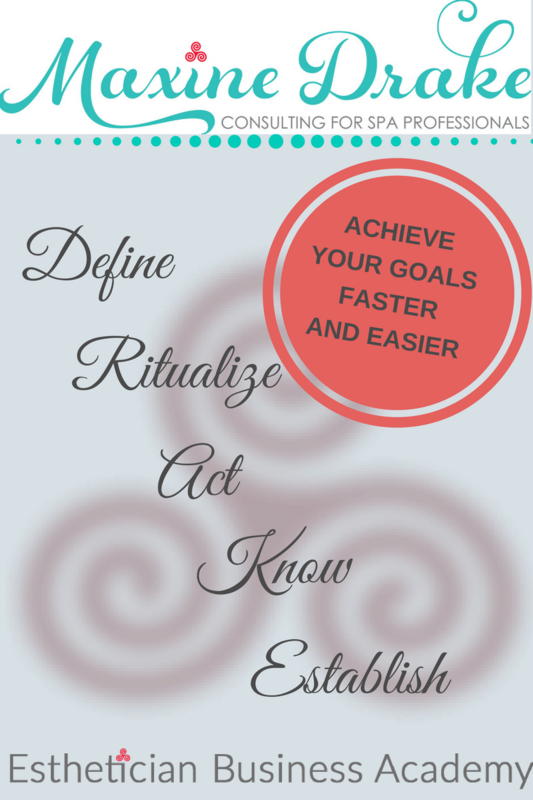 How do can you improve essential oil sustainability in your own practice? If you do decide to use essential oils, consider the sustainability practices of the company from whom you’re buying, and ask questions. Just because a company is large and visible, doesn’t mean they’re sustainable–and often, the plants they distill the oils from are not organic. Often smaller distillers and distributors sell higher quality, ethically and sustainably produced, organic essential oils. Registered Clinical Aromatherapist, Anna Doxie, from the Institute of Holistic Phyto-Aromatherapy suggests calling your essential oil company and asking what they do to ensure sustainable and ethical practices. She also recommends having a good enough understanding of the chemistry of the oils. Since many of them have similar chemical constituents, if there’s a less rare oil that has the chemistry you’re looking for to meet your specific need, it’s more sustainable to choose that oil. Another option is to look for oils that have been extracted using the newer supercritical C02 extraction process, rather than steam distillation. According to Misty Rae Cech, ND, the CO2 methods are the most efficient, producing the most oil per amount of plant. As with most things, when it comes to essential oils, less is more. “The massive production, consumption, and distribution of essential oils is devastating species and taking plant medicine out of context. Sixty thousand rose buds are required to make one ounce of essential oil. It takes 390 pounds of lemon balm to make one ounce of the antiviral and calming essential oil. Only 59 pounds of lavender flowers are required to produce one ounce of the essential oil. In fact, the over-harvesting of sandalwood has caused the plant to go nearly extinct in its native habitats of India and Indonesia. 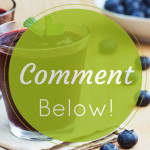 Tell us, do you consider sustainability issues when purchasing products for your at-home or spa practice? Please comment below with your thoughts and experience. I’d like to see your sources for this article. doTerra takes sustainability very serious and has teams of scientists and conservationists assigned to areas to protect the plants! Please be sure of your facts before printing them! Hello Shari. All sources for this article have been linked to in various places throughout the entire article. I can’t find that doTerra has any 3rd party verification of sustainability, so until otherwise provided all they are doing is making claims. While I have a healthy respect for “sources”, it doesn’t take any sources to see that monocultures are an absolute necessity for supplying the amount of EOs currently being marketed. Monocultures are completely unsustainable in all situations, no matter the crop, be it lavender, corn, soy, etc. It’s as un-natural, as antithetical to the way nature actually works in health and balance, as you can get. This alone is reason enough to eschew EOs. Thanks for sharing your thoughts, Beth! With one maxim as my main advice to customers — “Less is Best” — I’ve been selling essential oils since before Dr Young came up with his multilevel marketing approach, i.e., before there was an internet … and I hand out a pamphlet on the sources, origins, precautions, and recommended uses of the oils I sell, which I condensed from a number of books on the subject, beginning with Gattefosse’s introduction in 1923. Thank you for this timely and insightful article! Thank you for your insight, Joe!